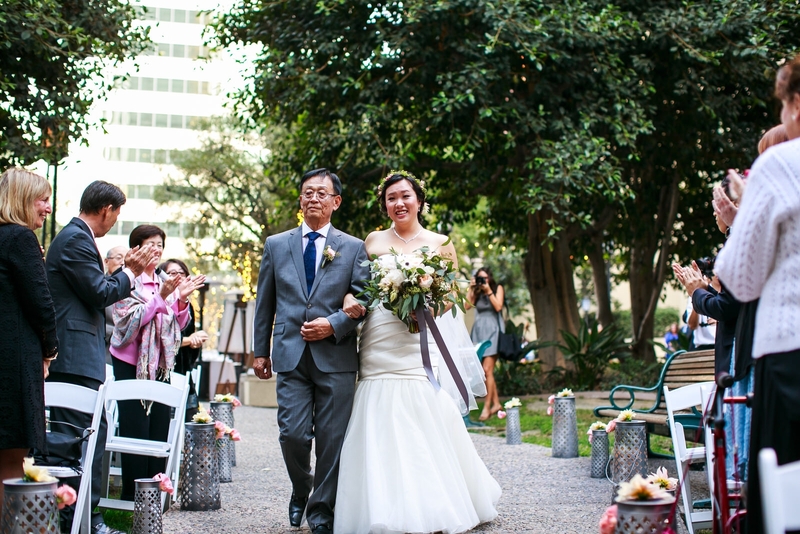 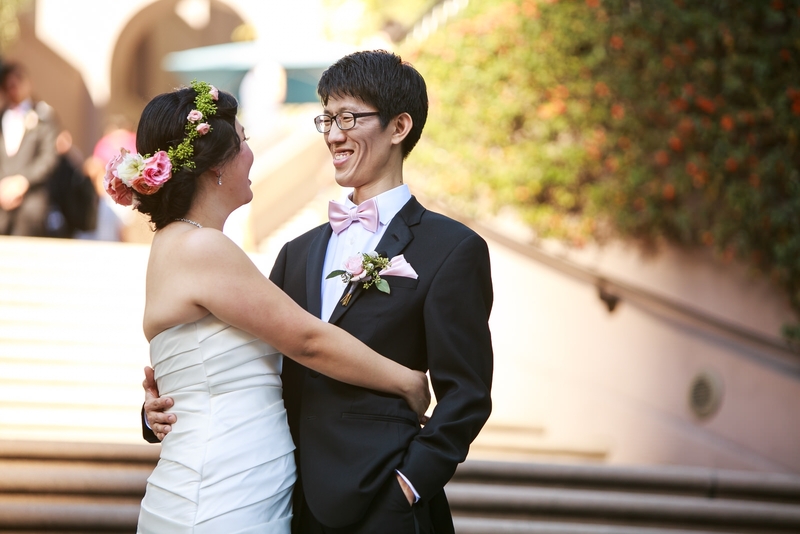 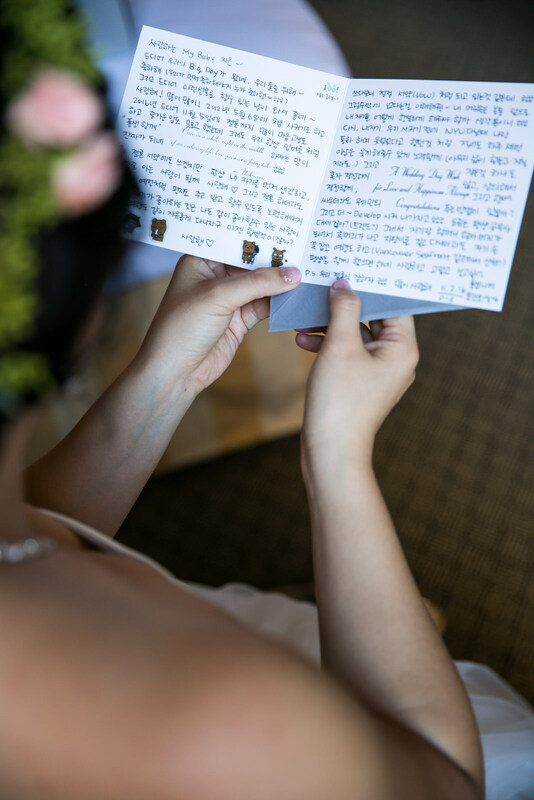 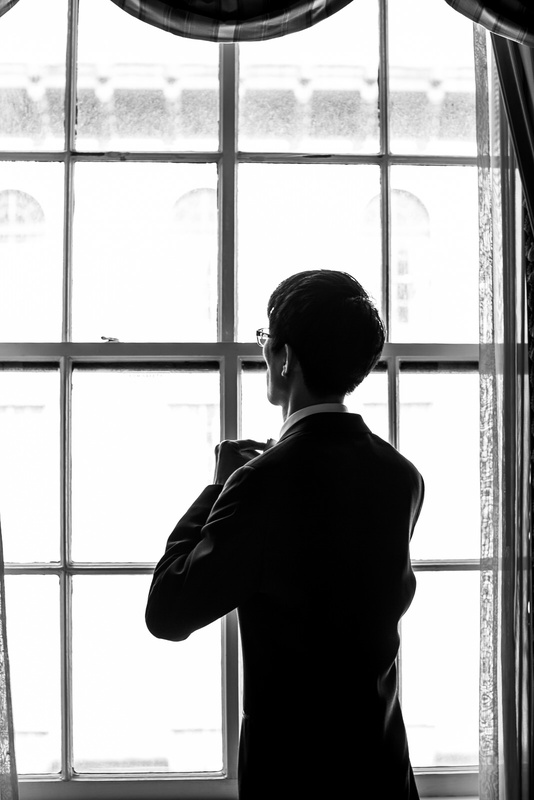 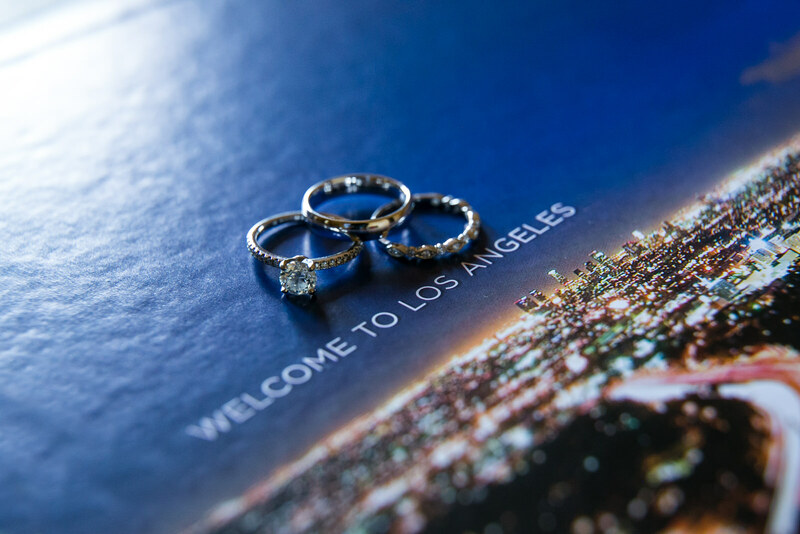 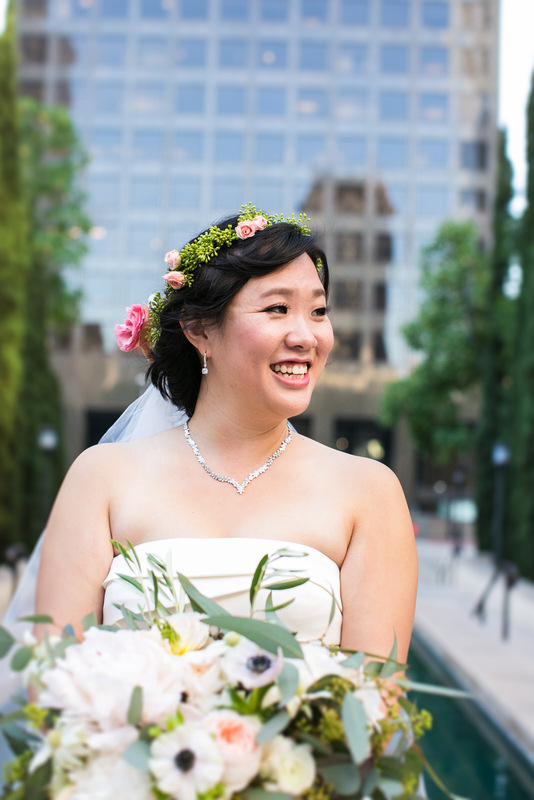 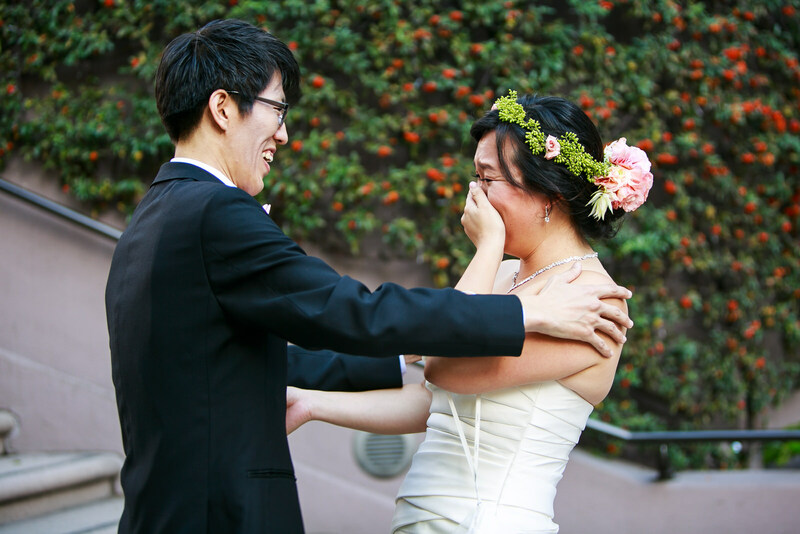 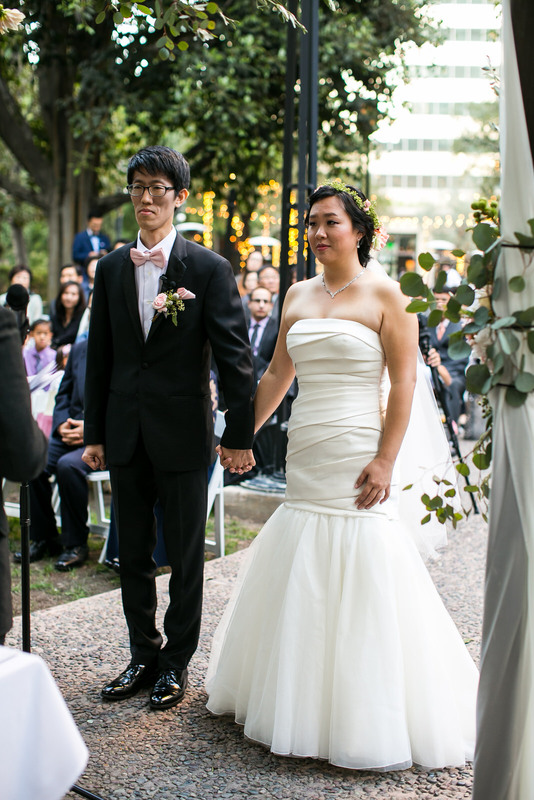 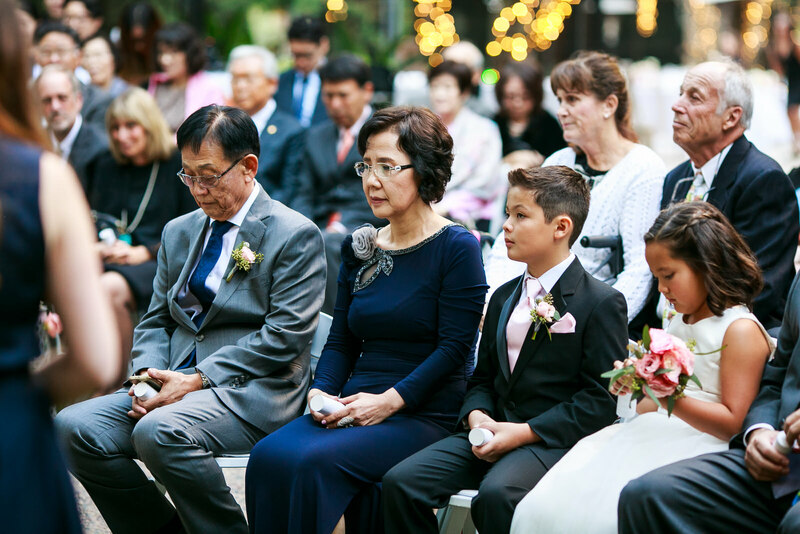 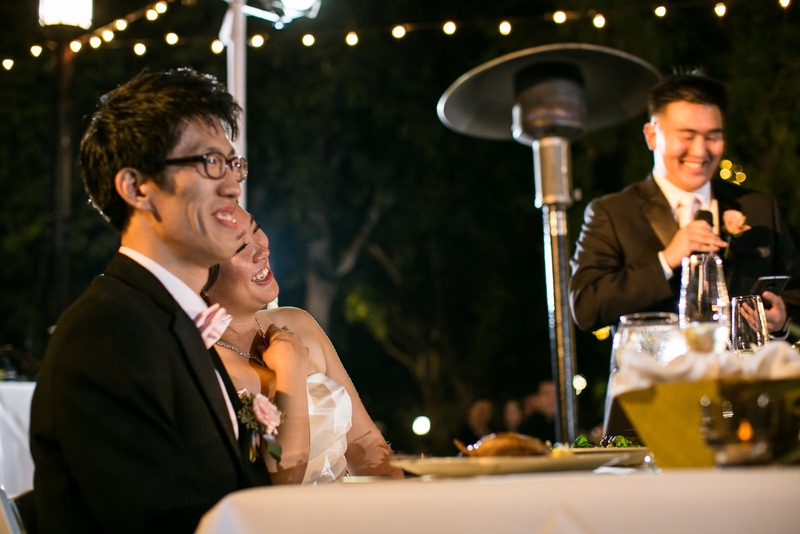 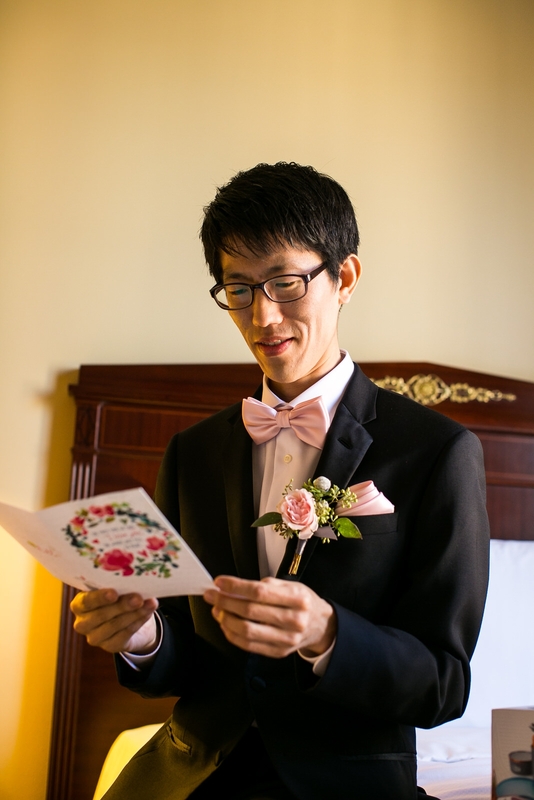 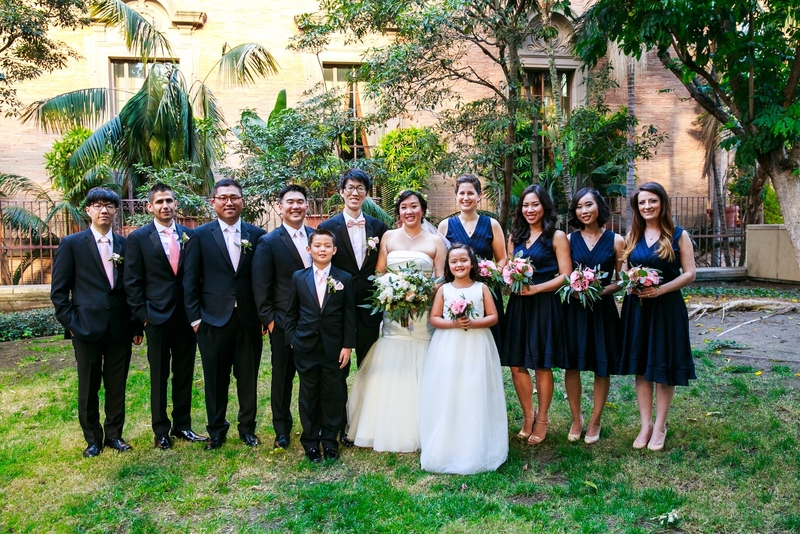 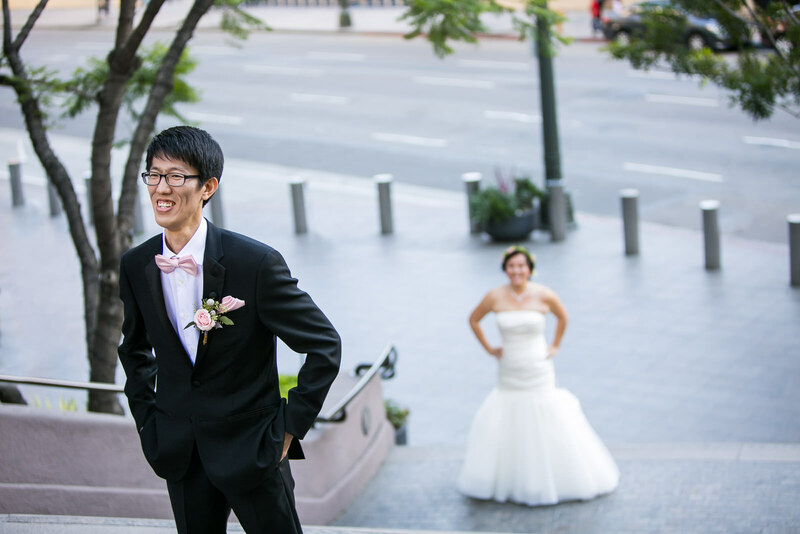 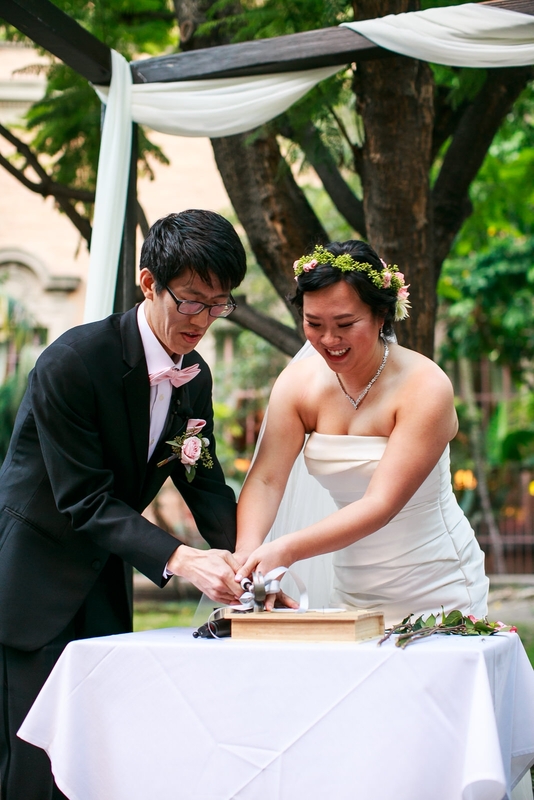 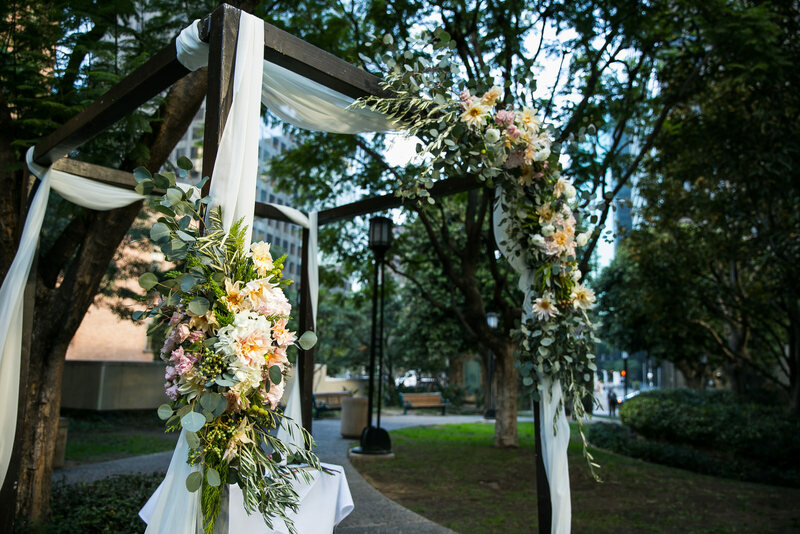 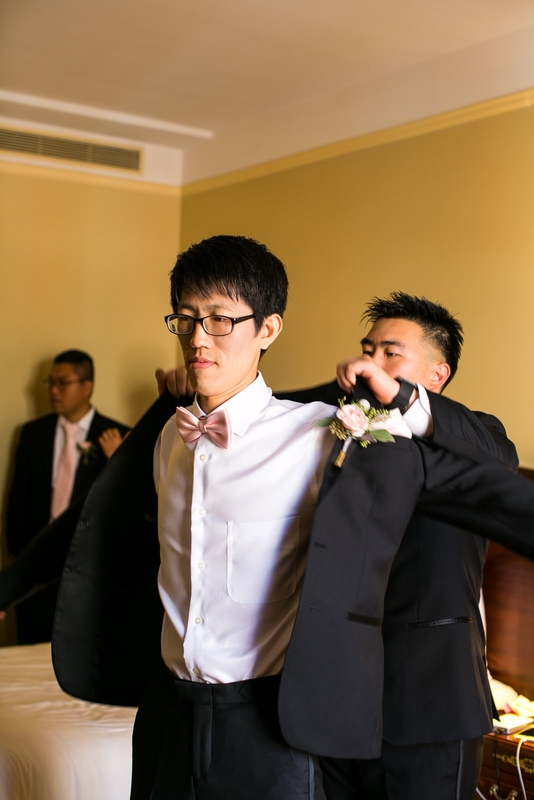 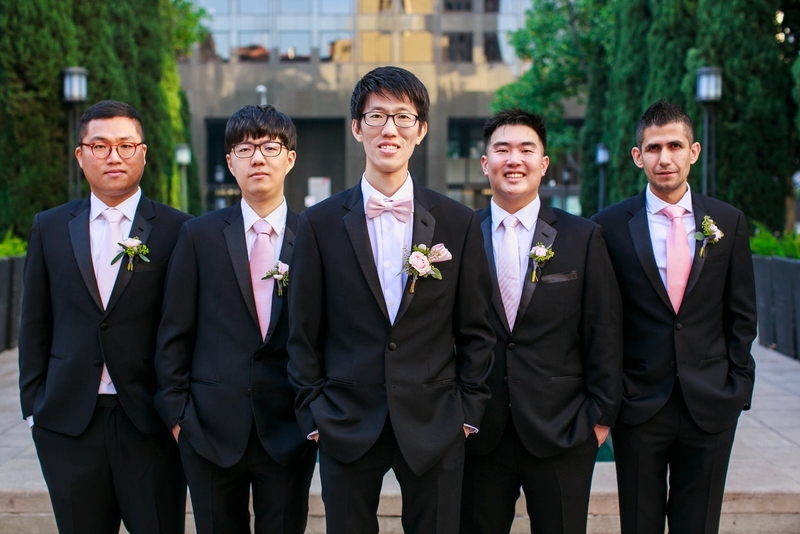 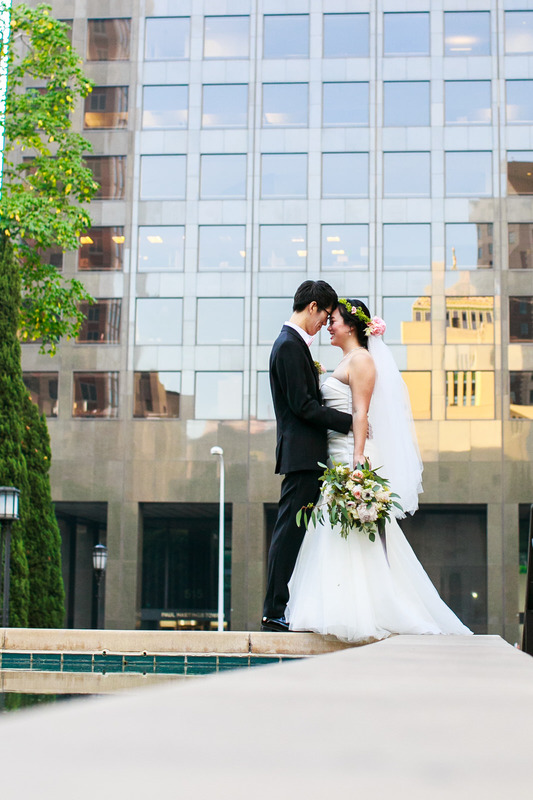 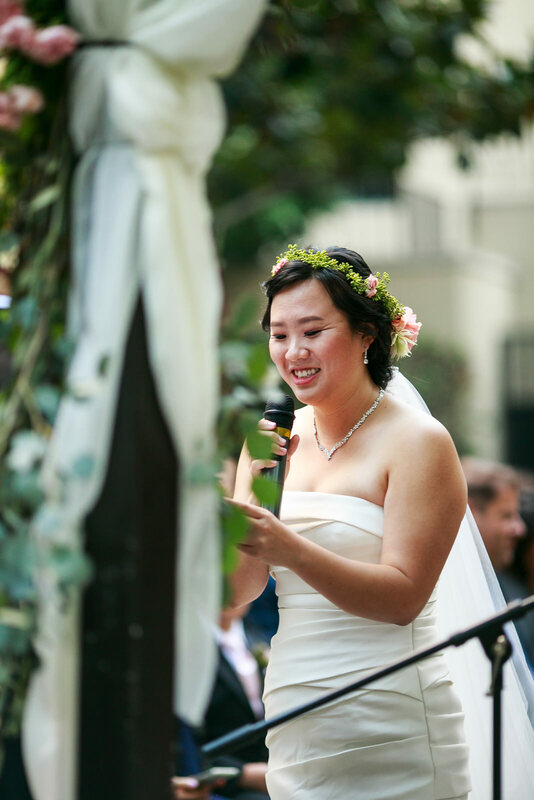 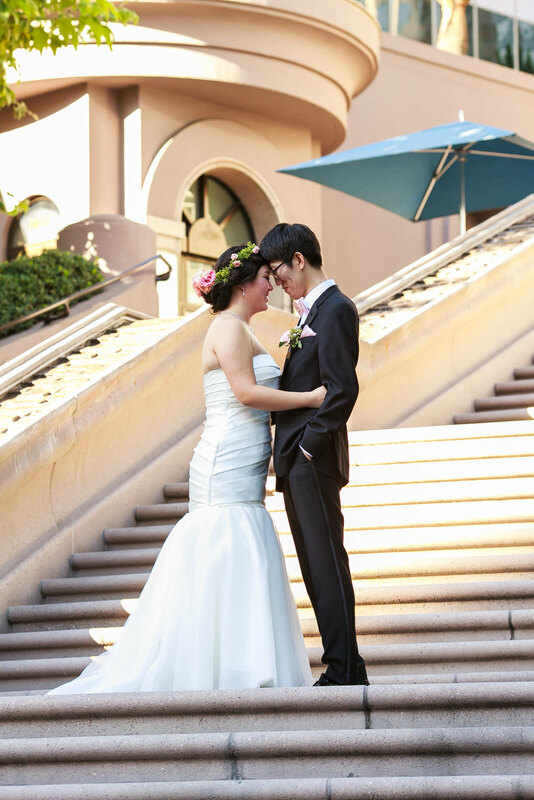 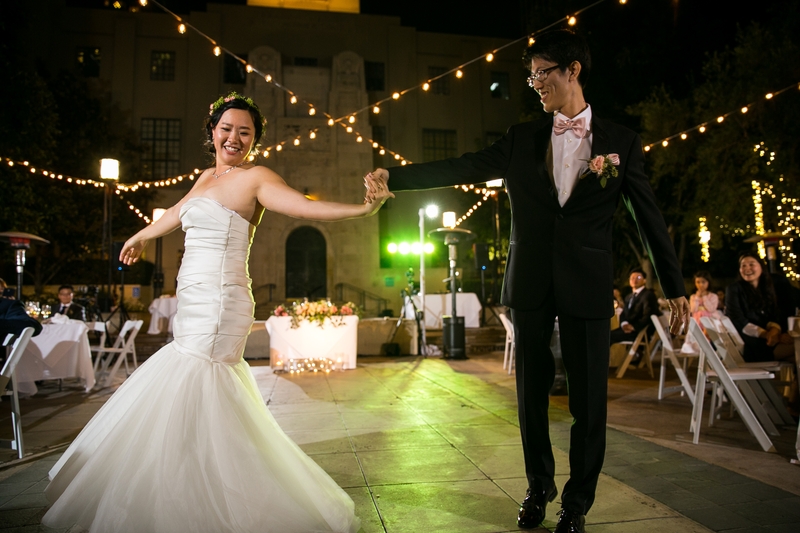 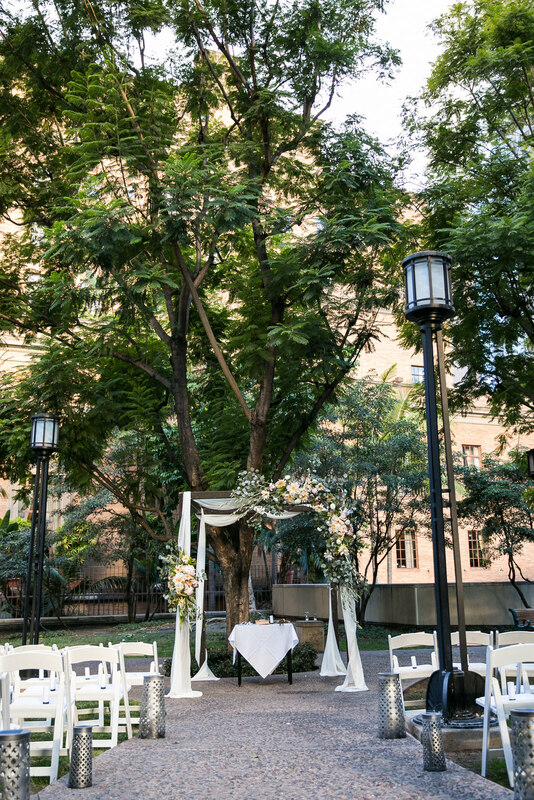 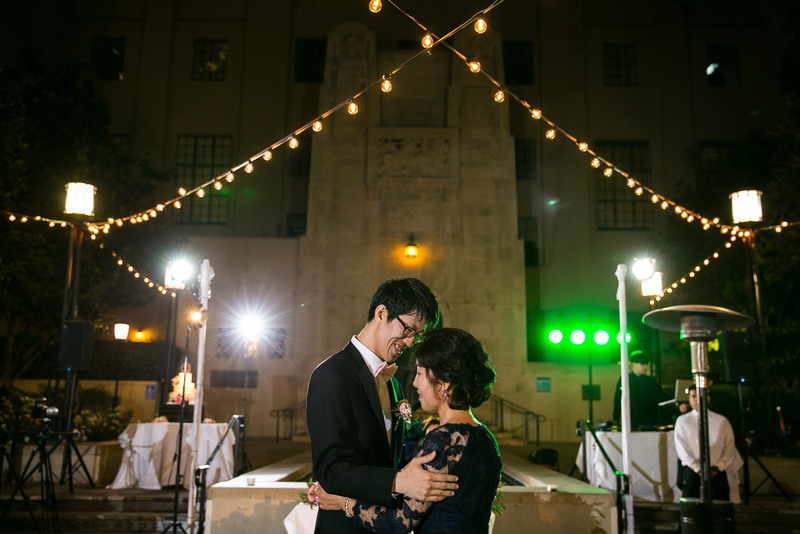 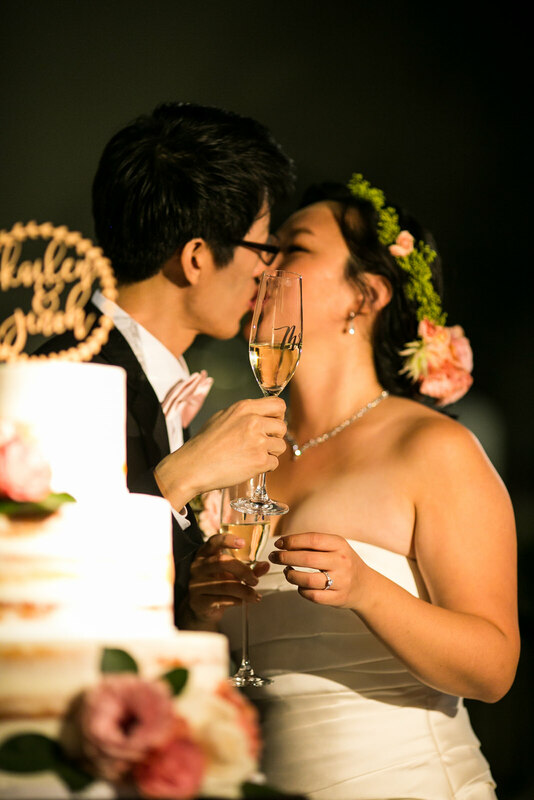 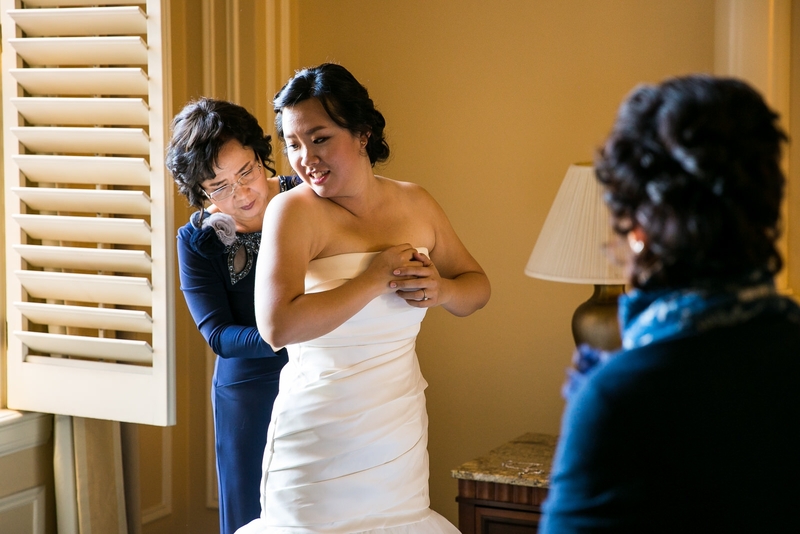 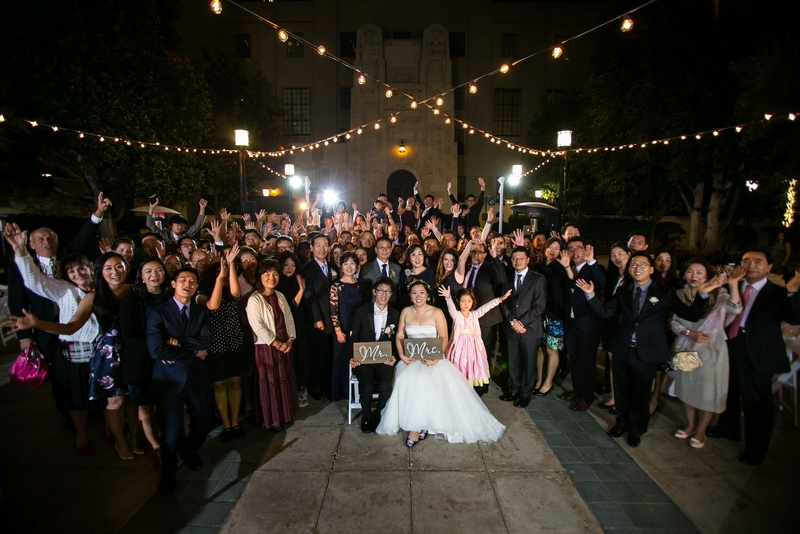 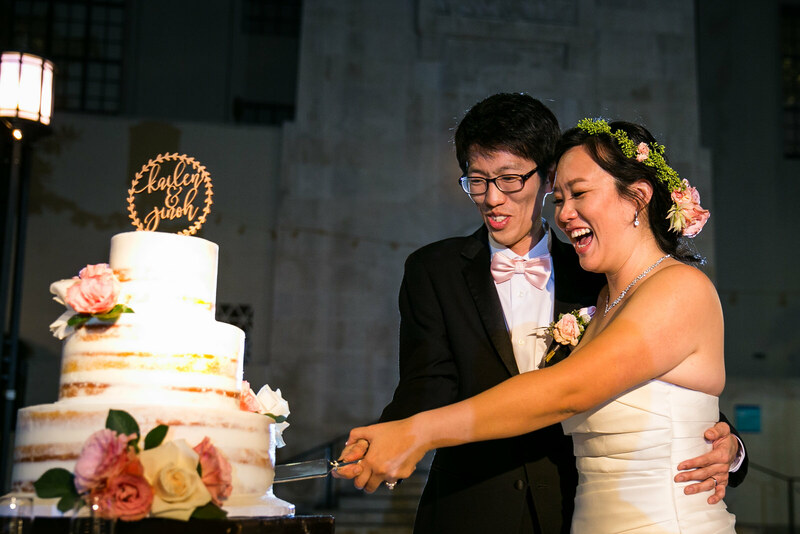 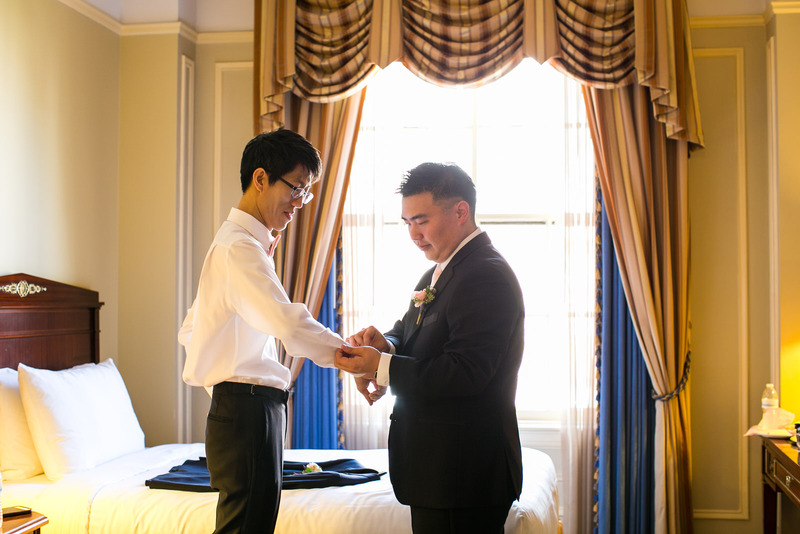 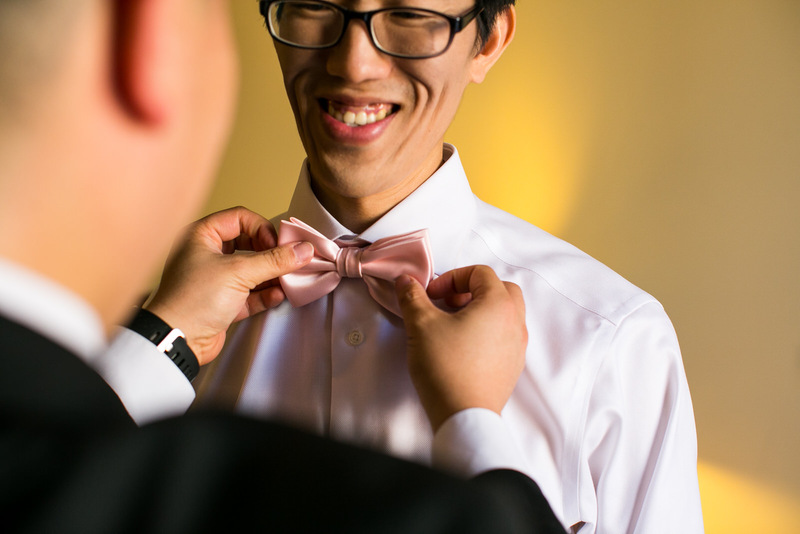 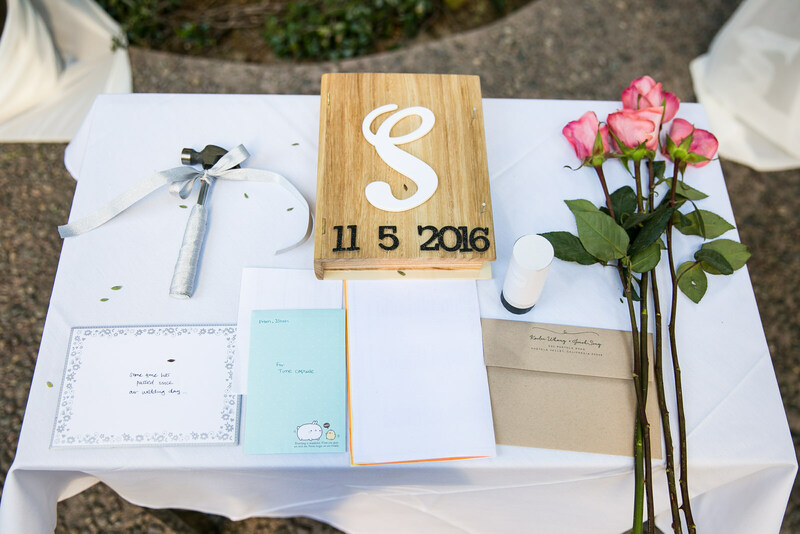 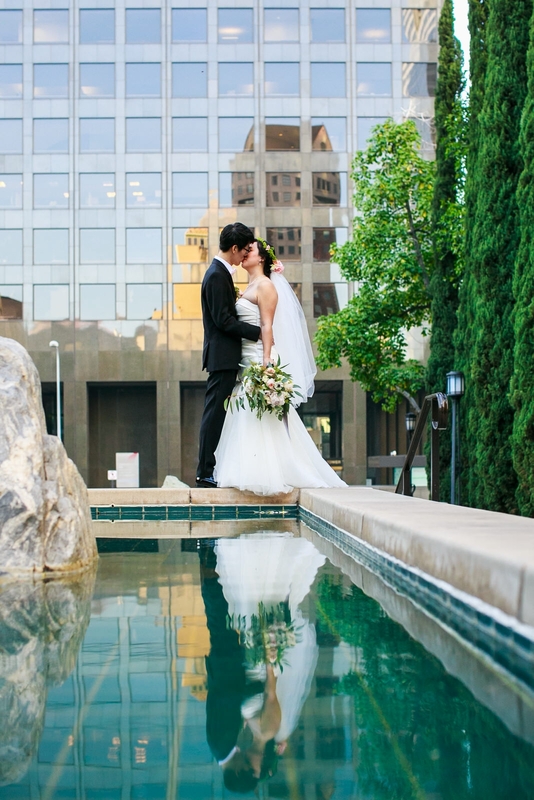 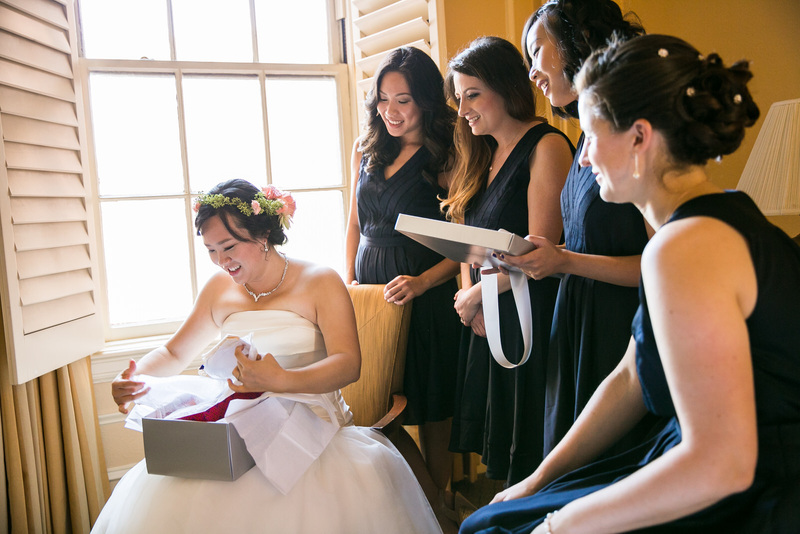 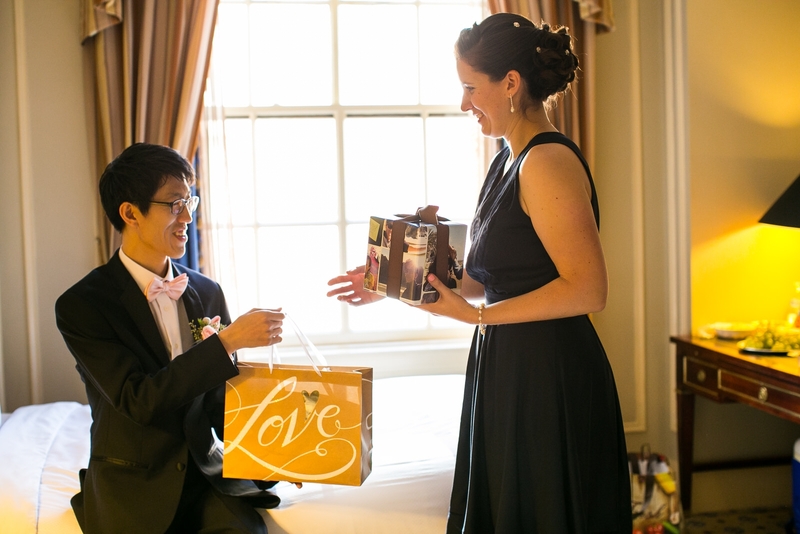 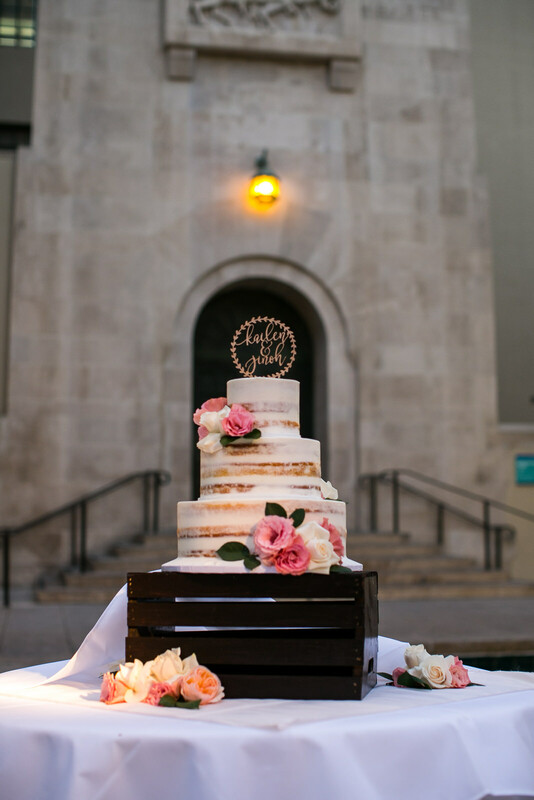 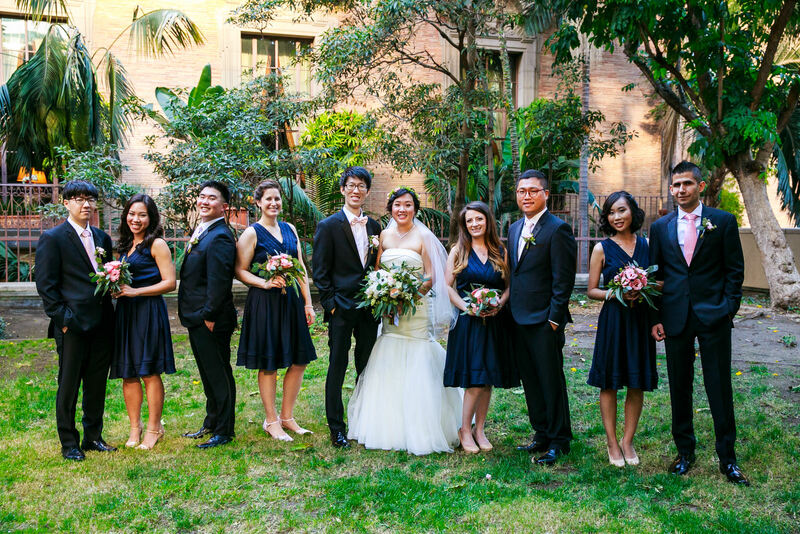 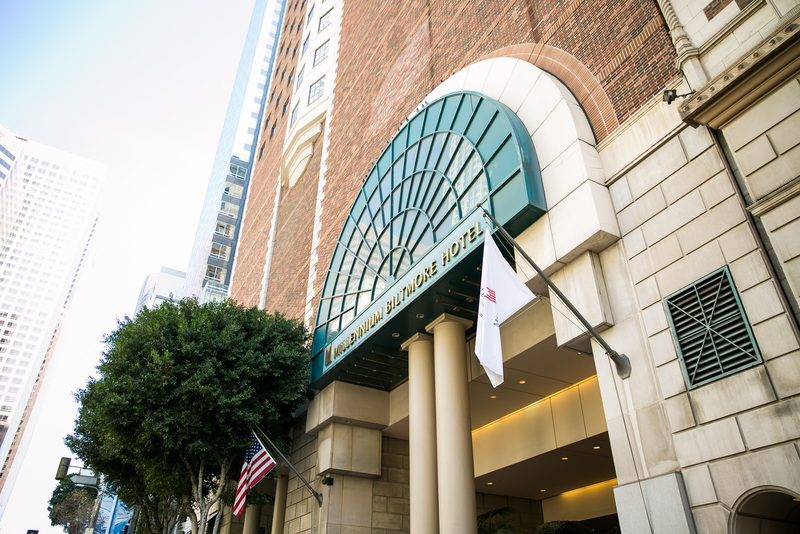 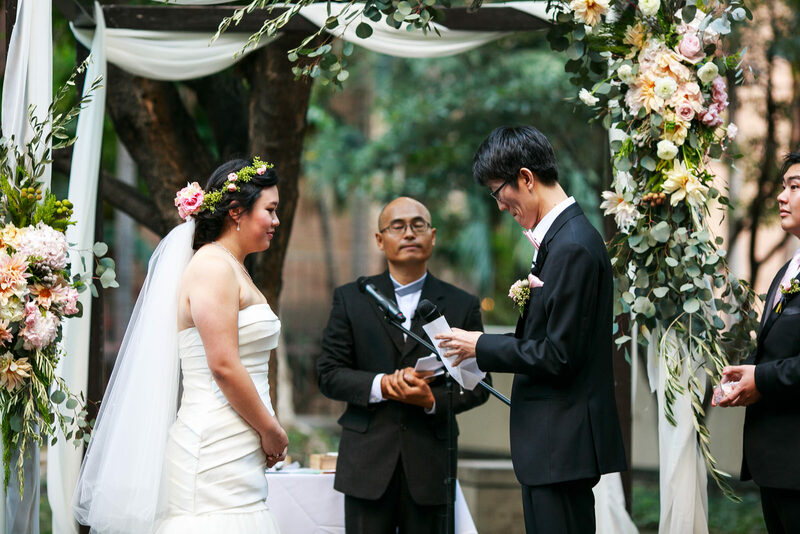 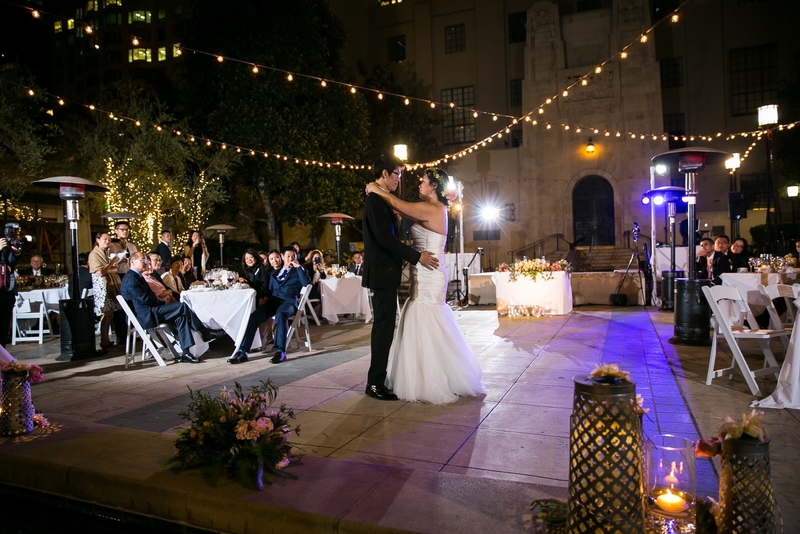 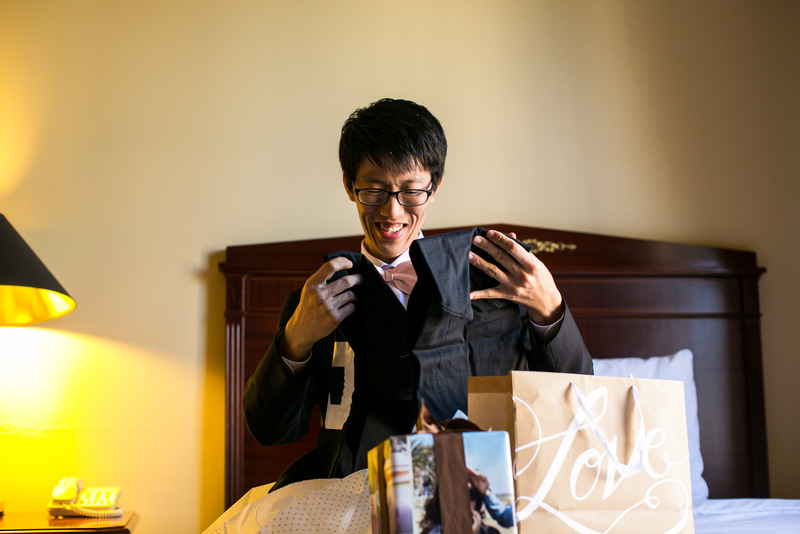 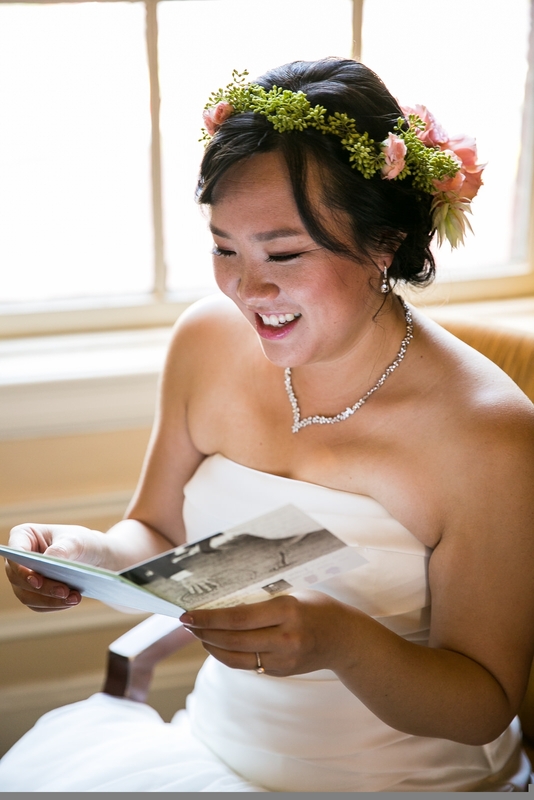 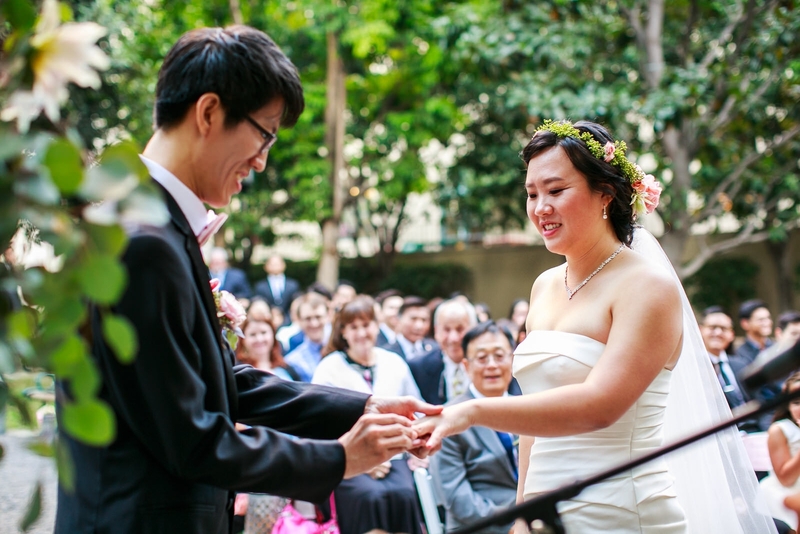 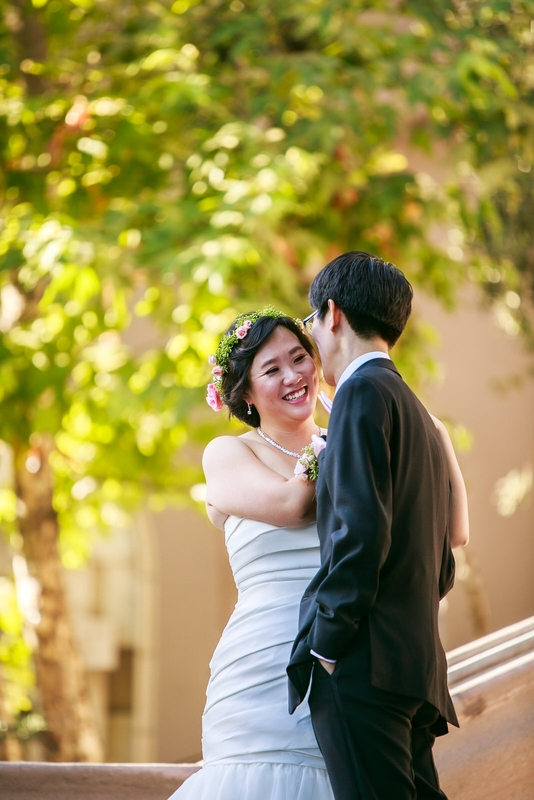 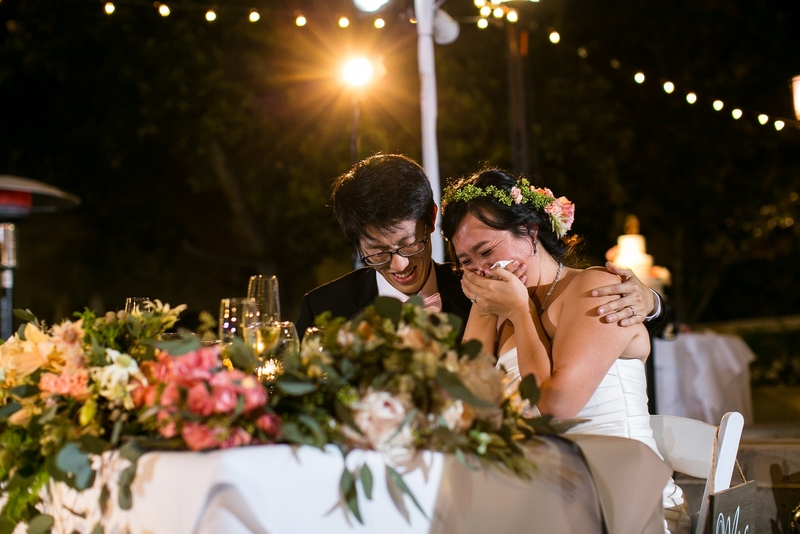 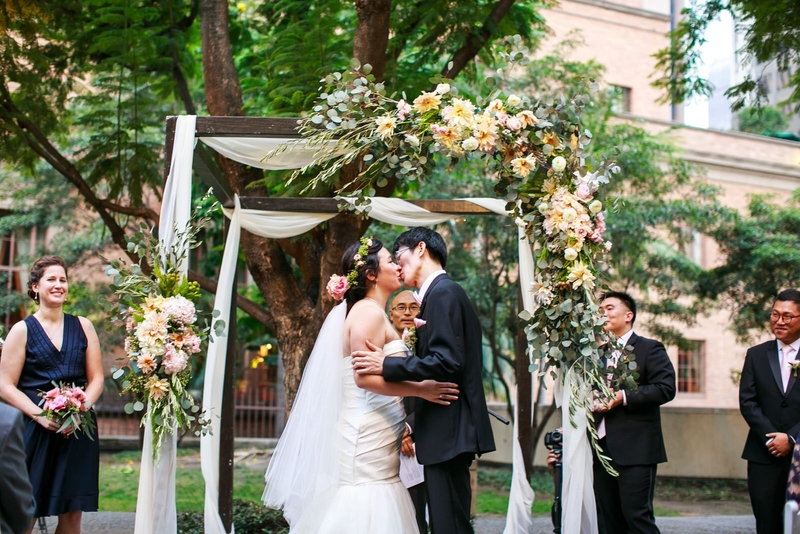 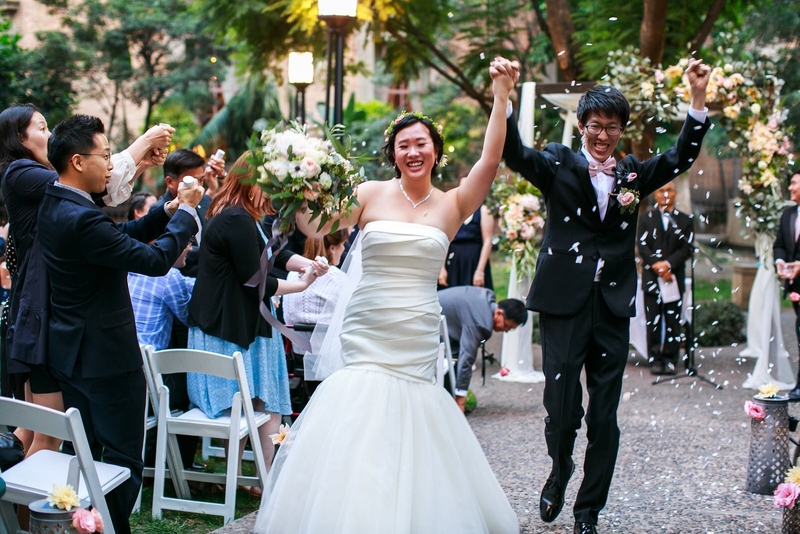 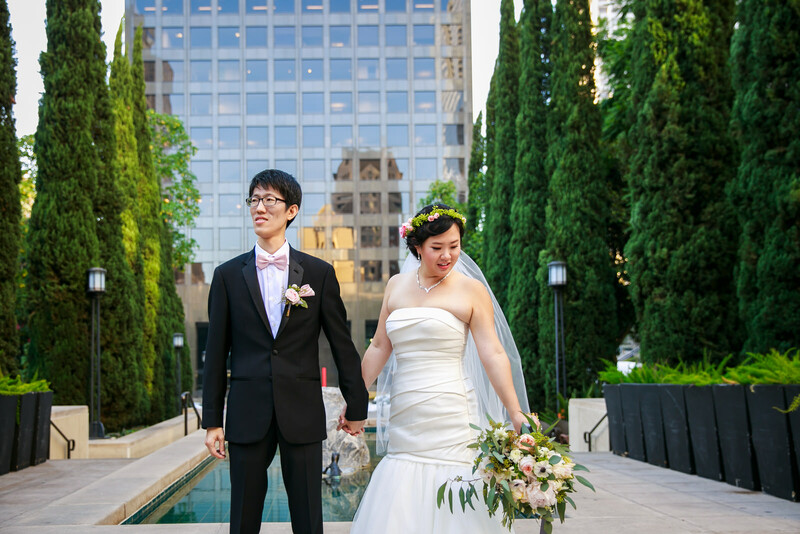 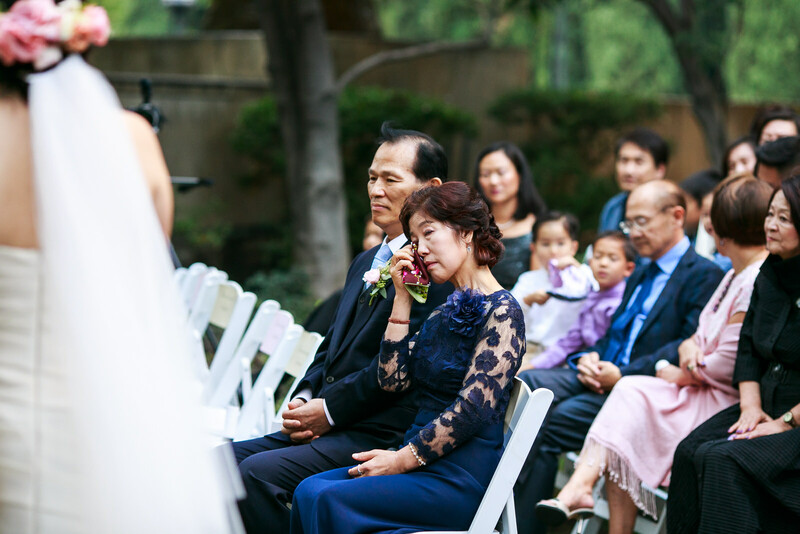 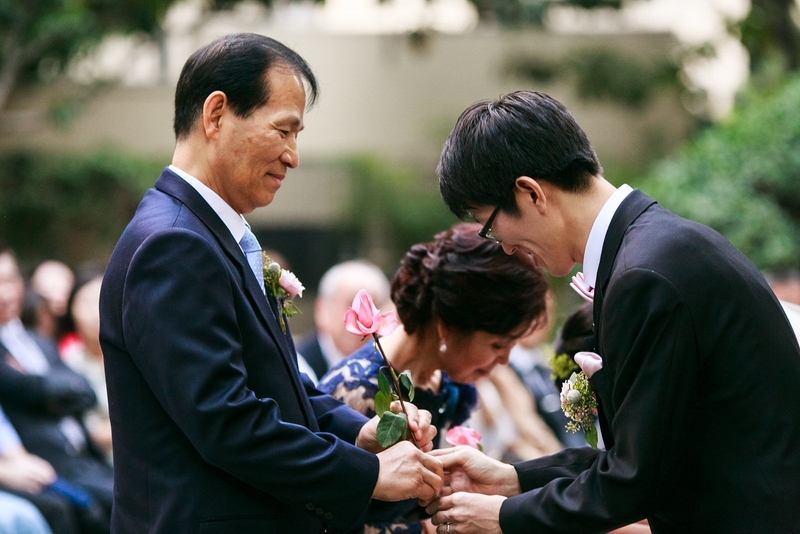 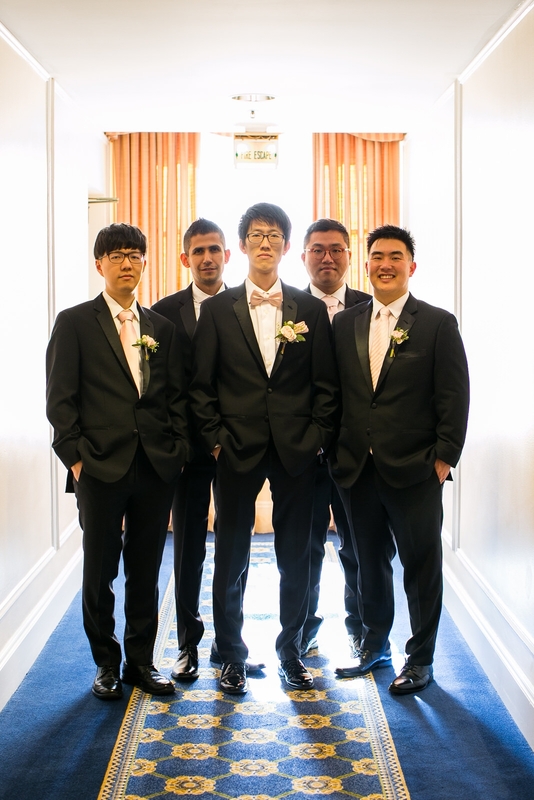 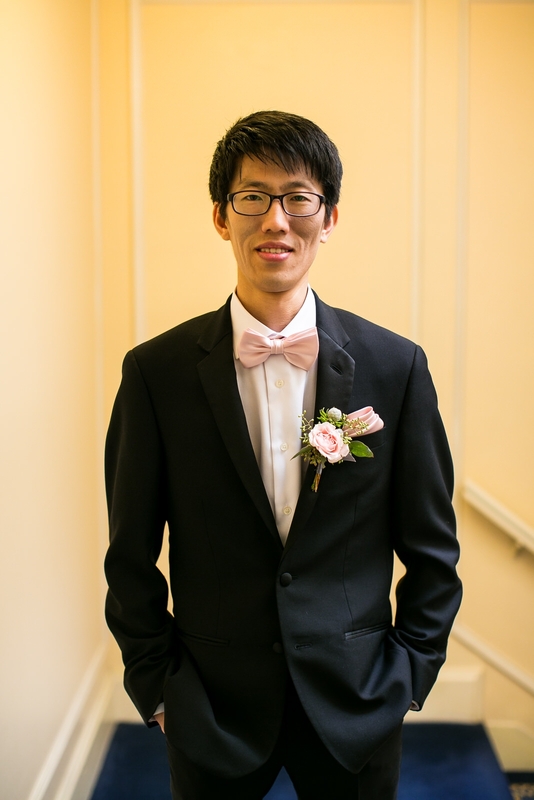 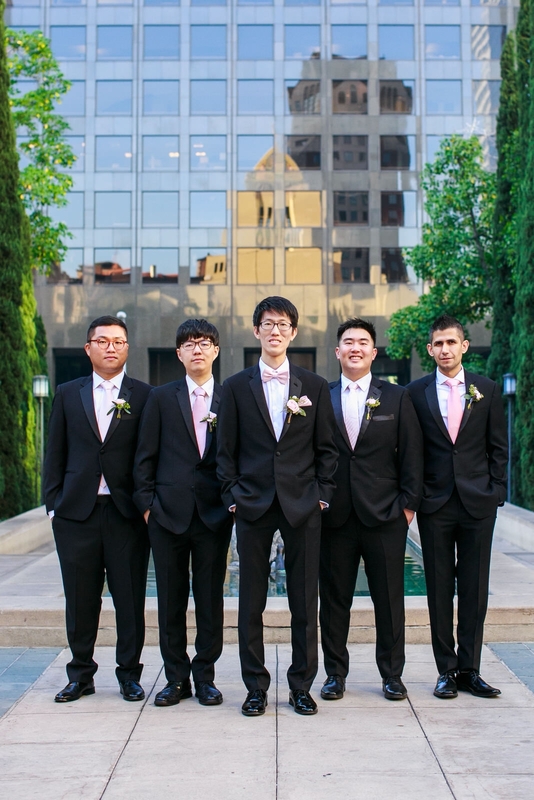 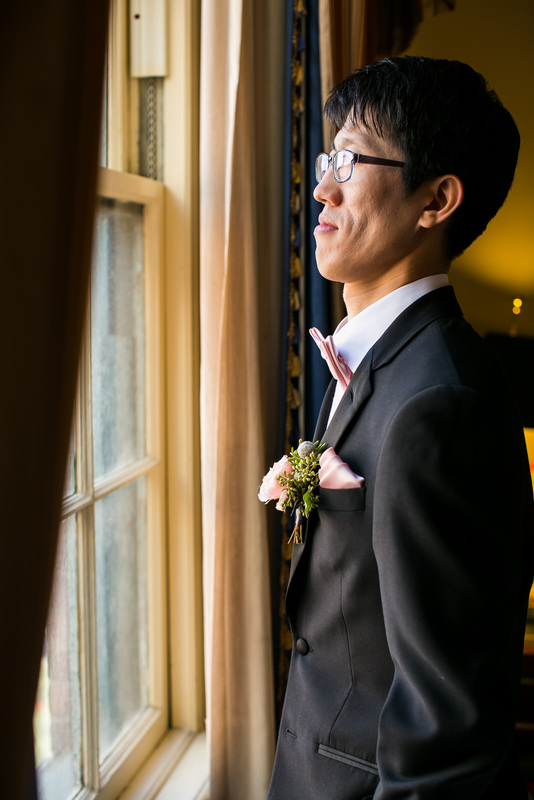 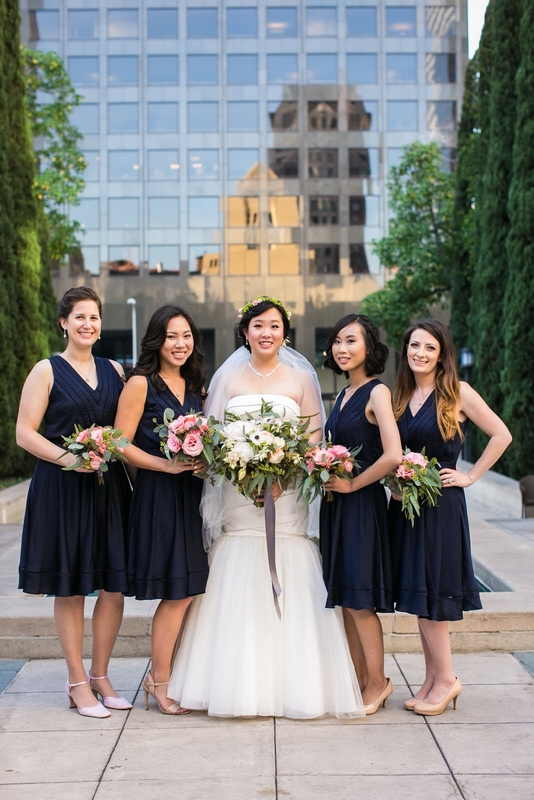 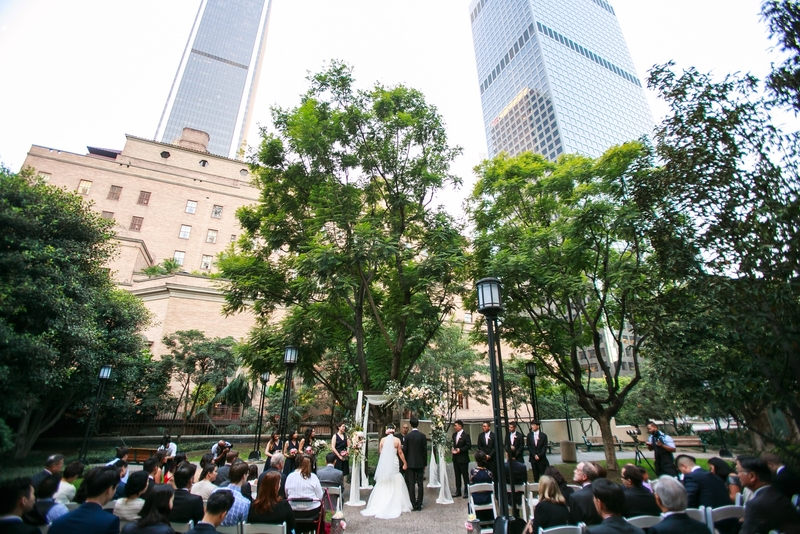 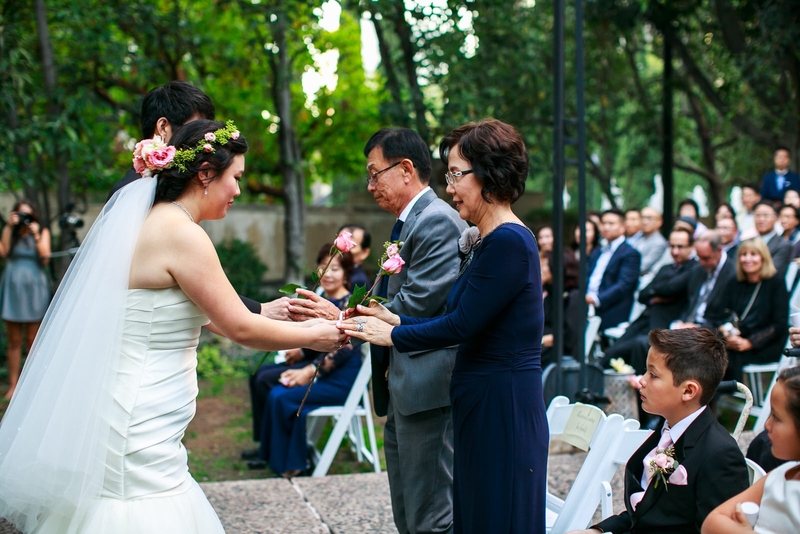 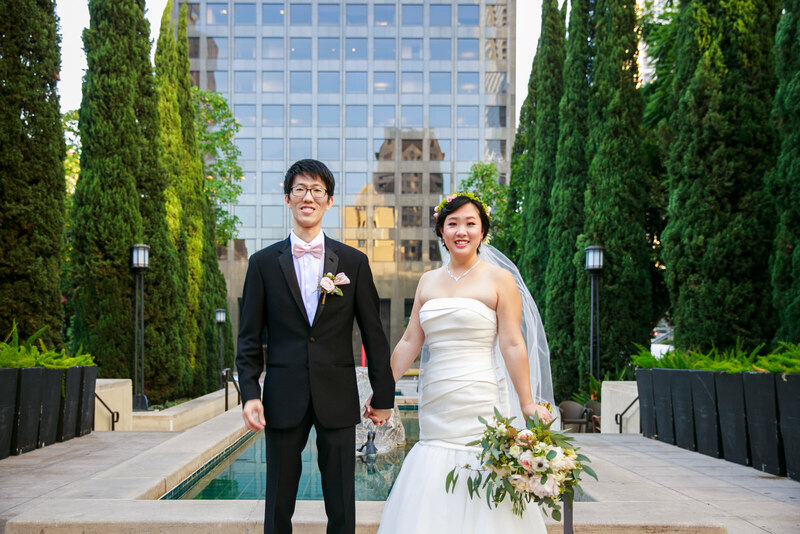 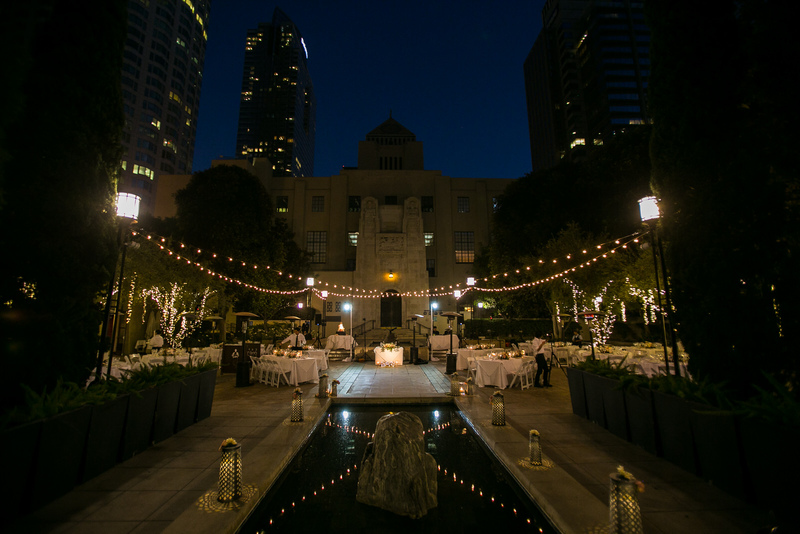 Set in the heart of Downtown LA, all the planning for Kailen & Jinoh’s wedding had fallen into place. 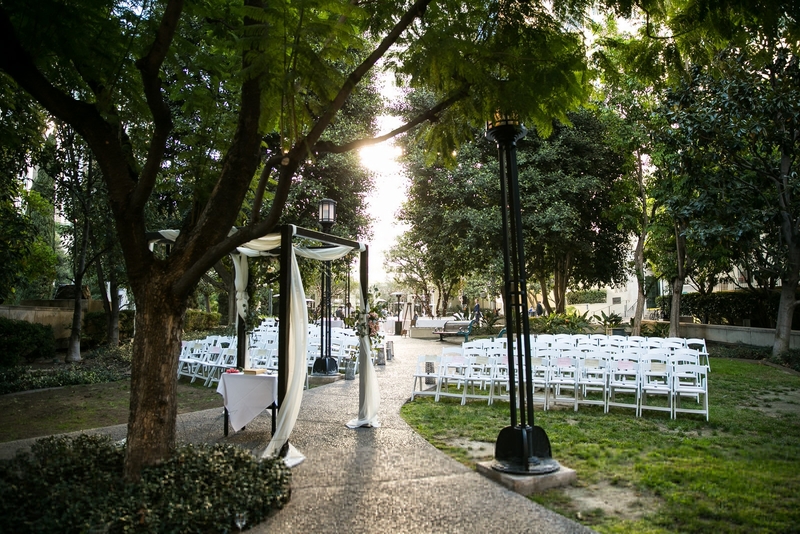 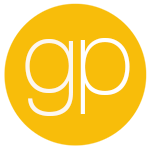 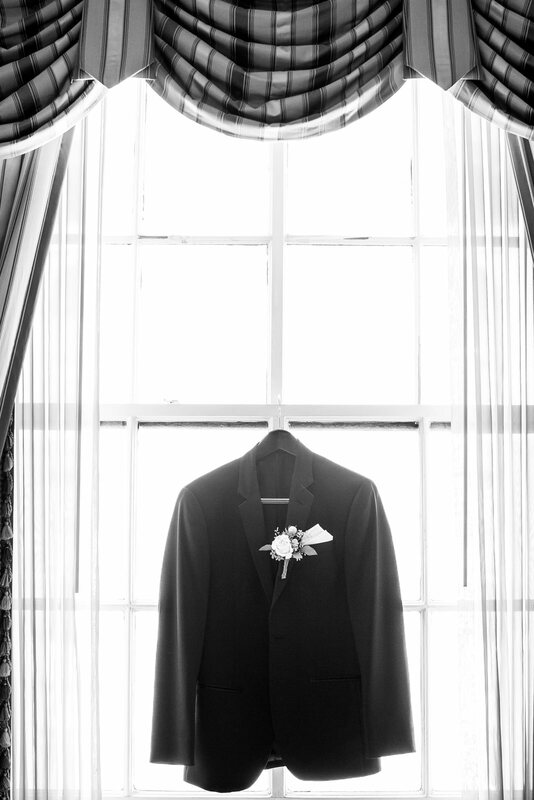 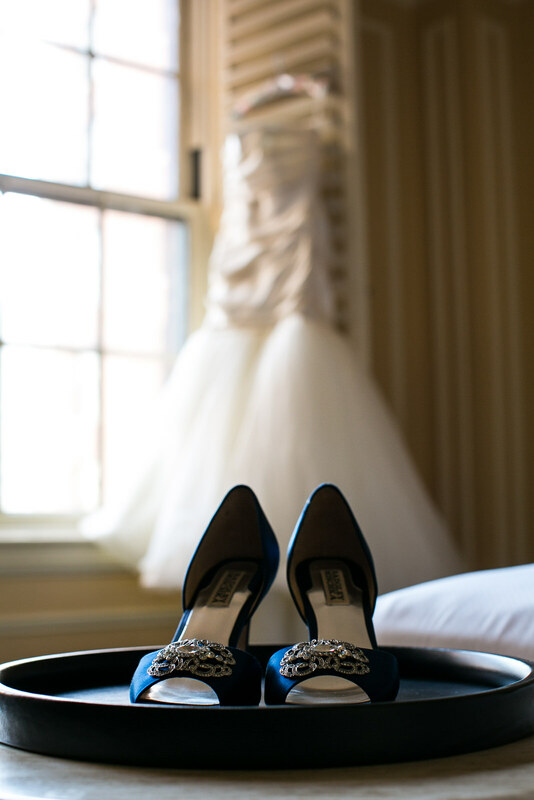 The Millennial Biltmore was the perfect place for the two get ready, with the Cafe Pinot ceremony just a short walk away from the hotel. 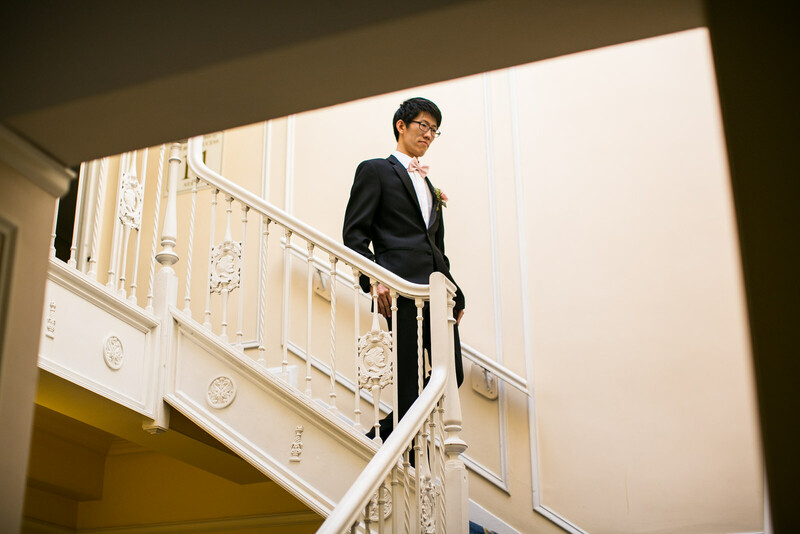 But before heading to the ceremony, we stopped at a large staircase across the street from the restaurant for a much anticipated First Look. 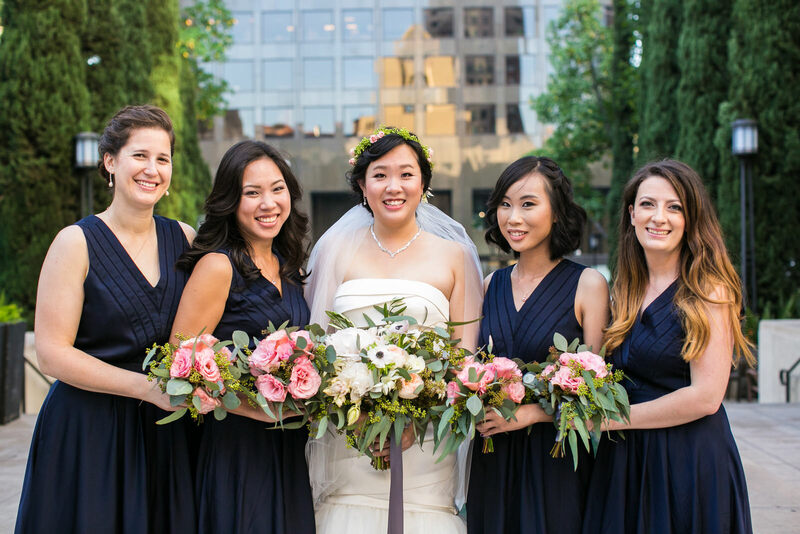 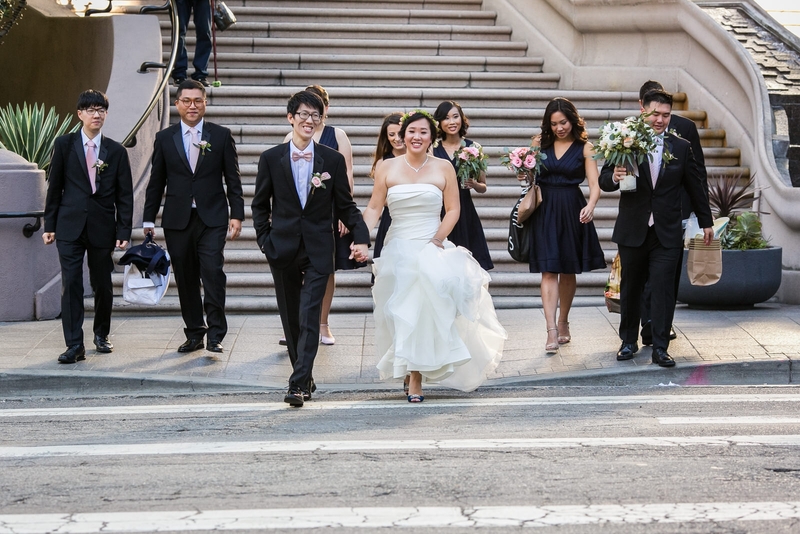 After seeing each other for the first time, we whisked the bridal party back across the street where family & friend’s waited anxiously for the couple’s arrival. 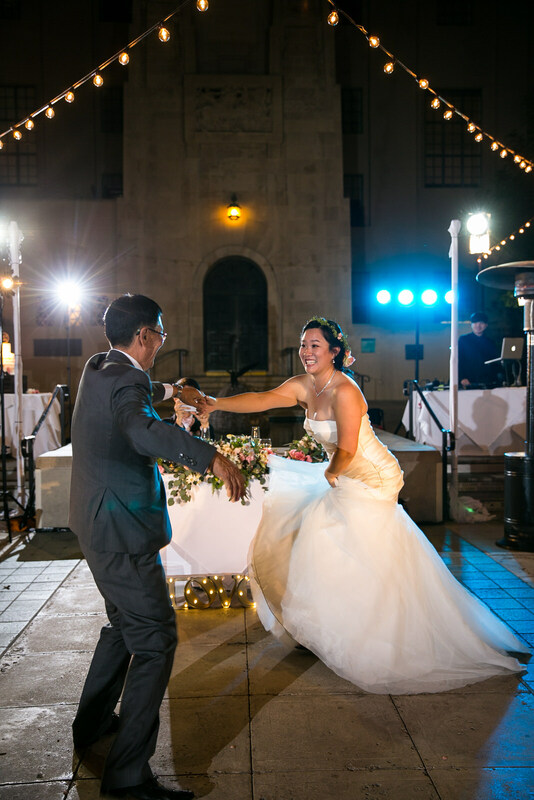 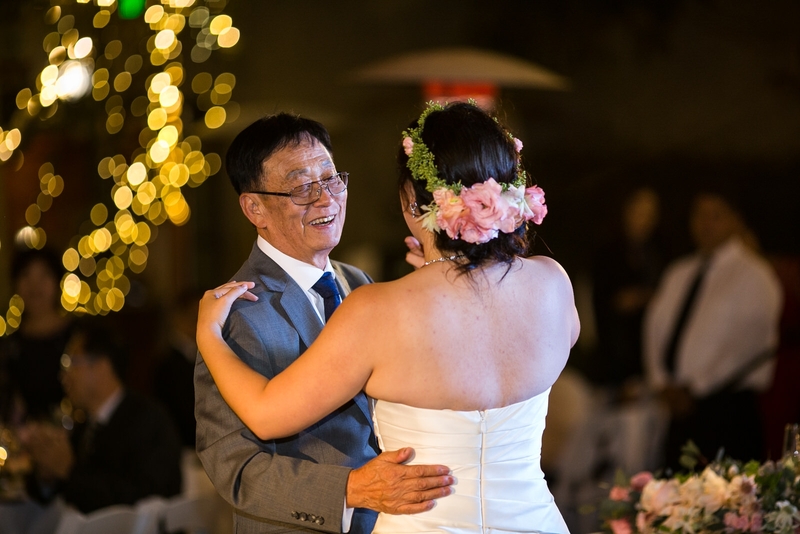 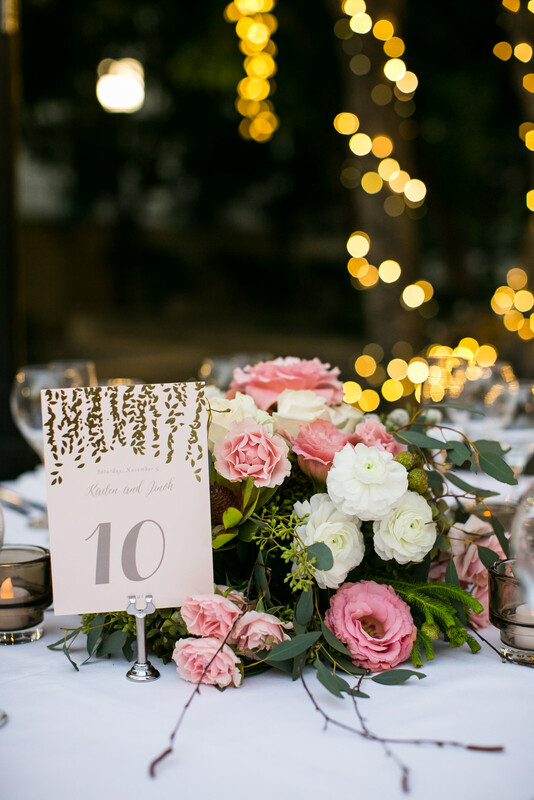 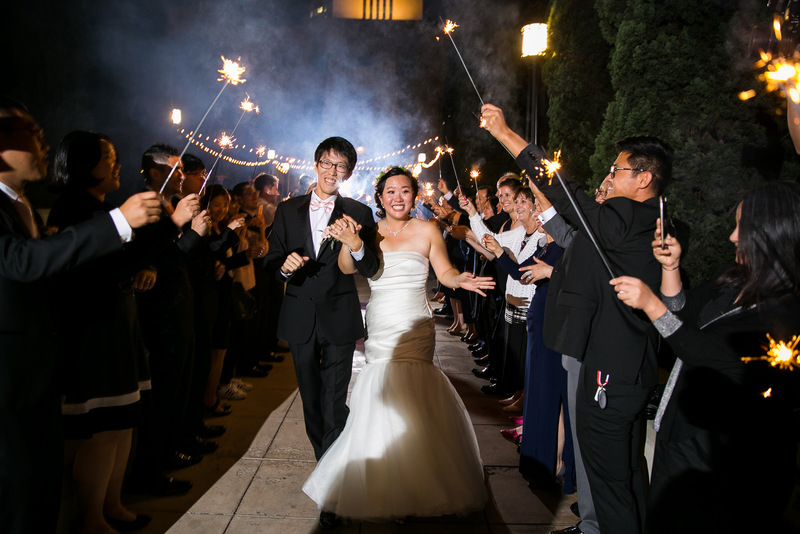 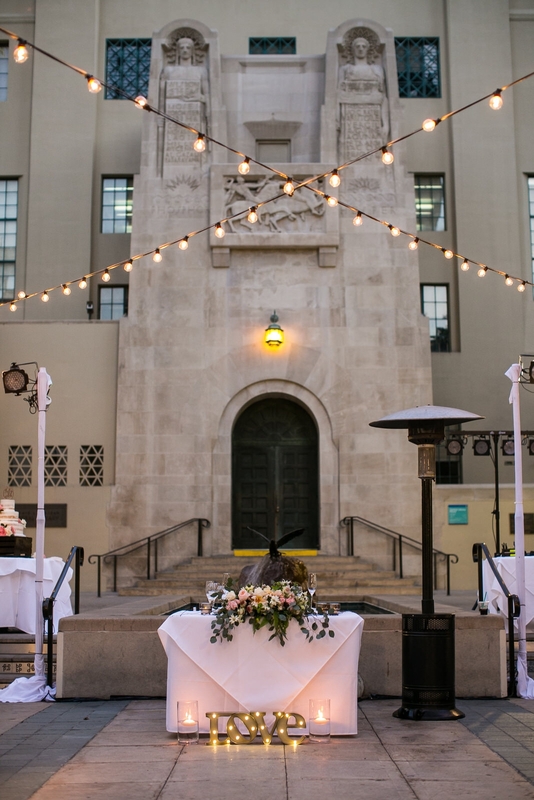 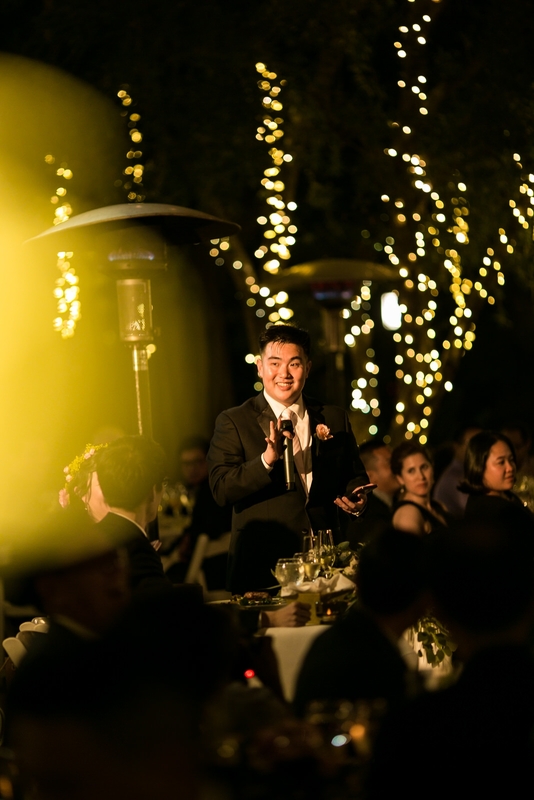 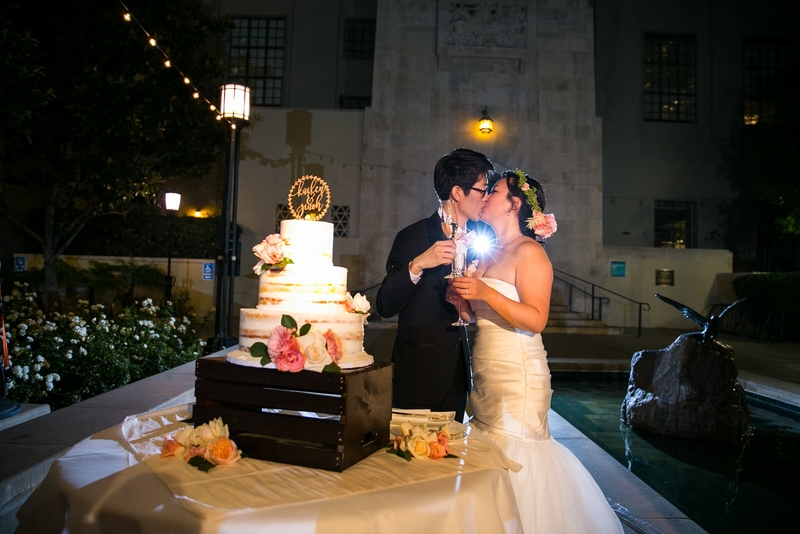 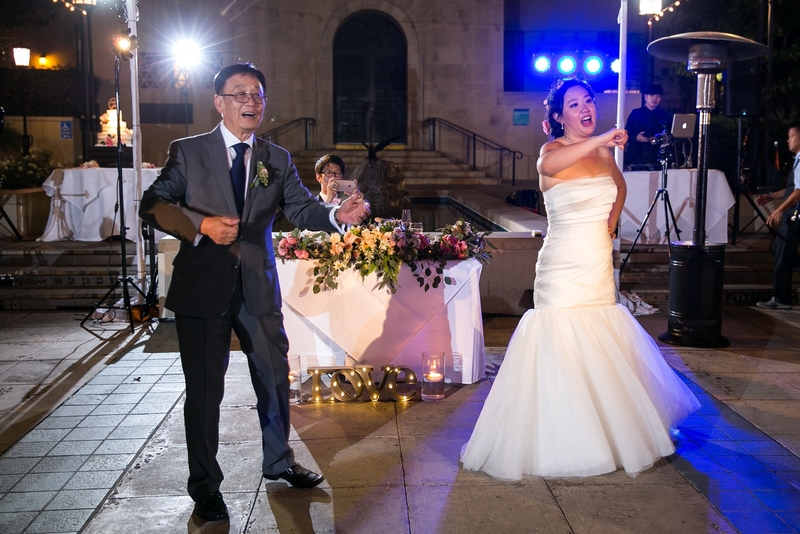 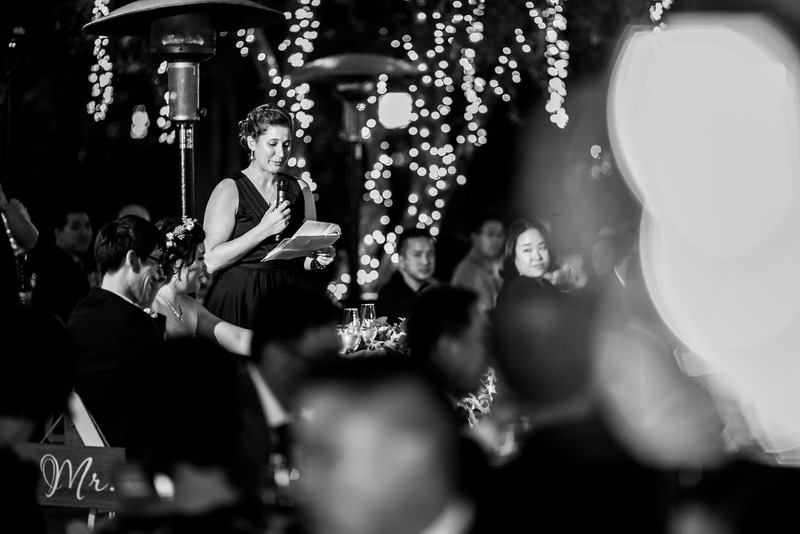 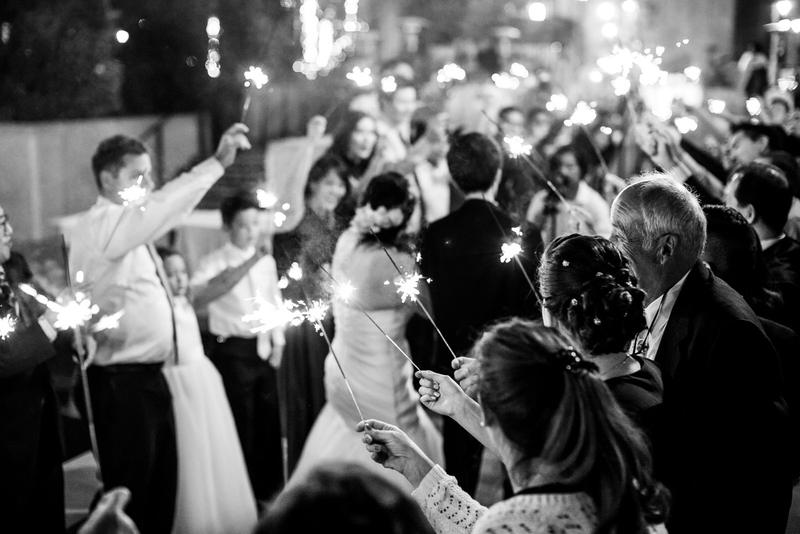 As the sun set and reception lights illuminated, the night was filled with an epic grand entrance, choreographed dancing, tearful speeches, and a an awesome sparkler exit. 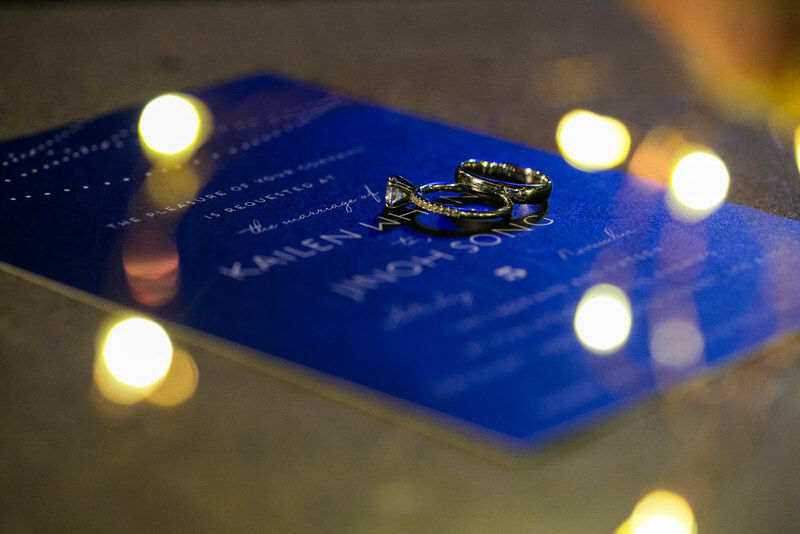 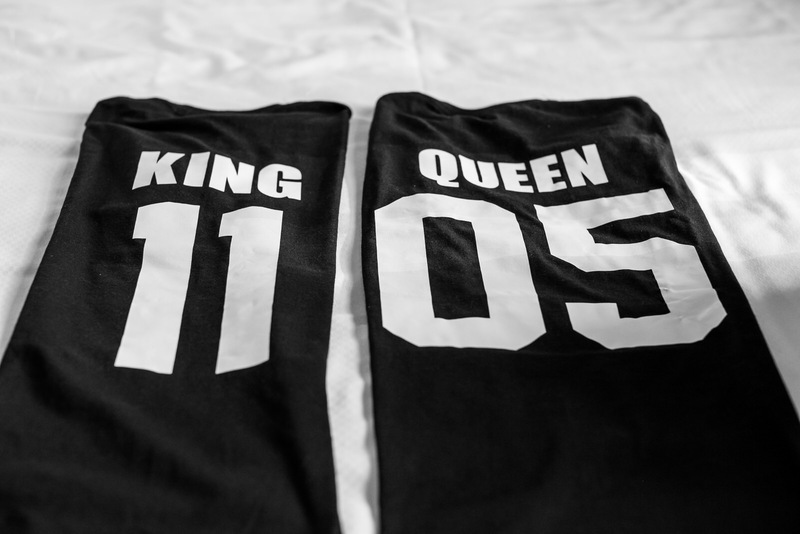 Congrats to Jinoh & Kailen! 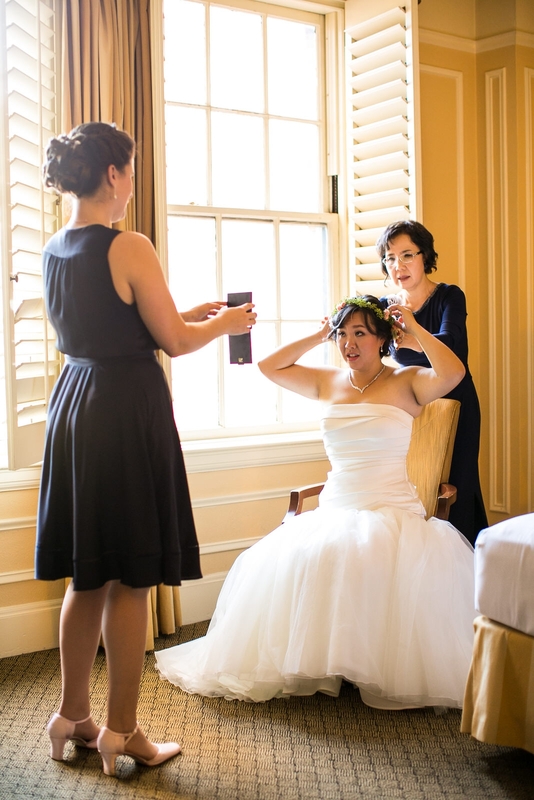 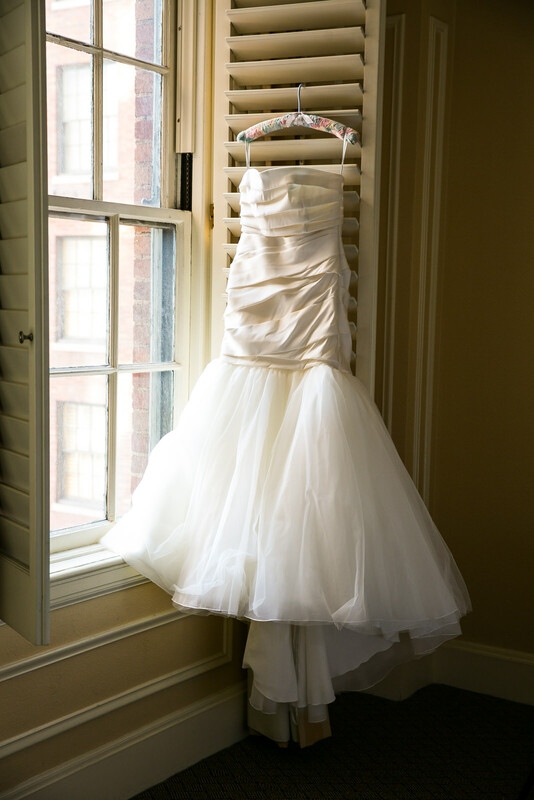 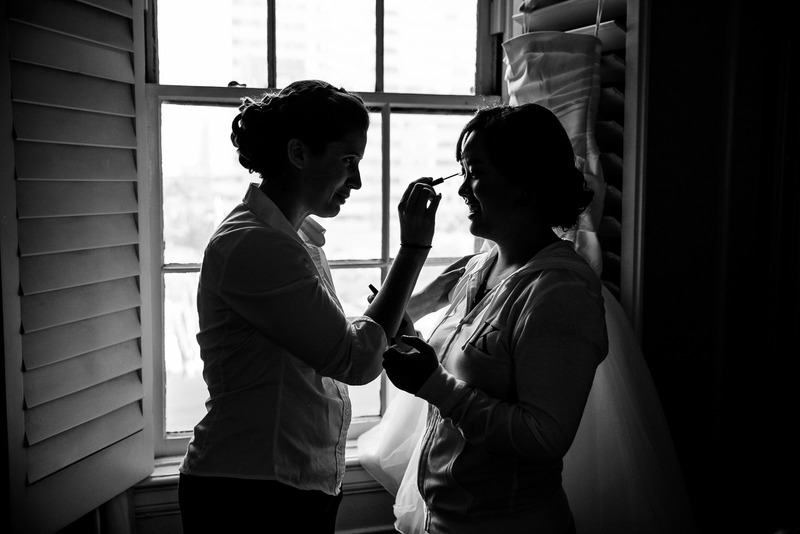 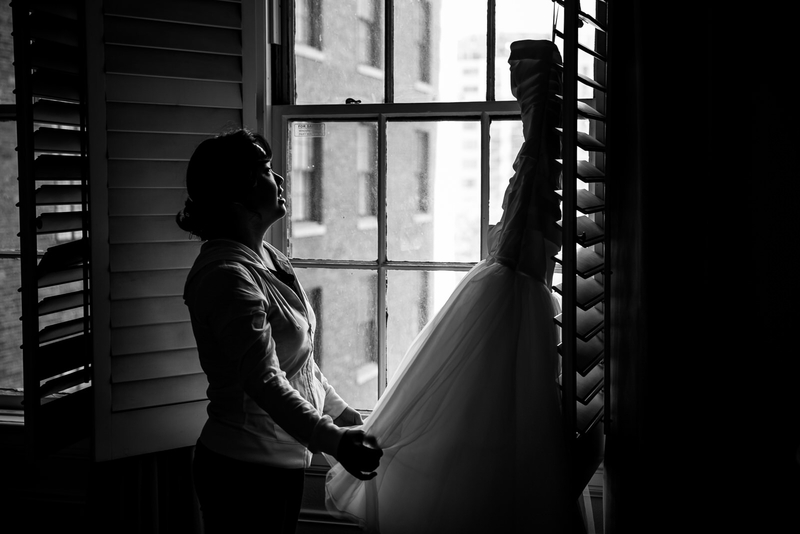 I LOVE the getting ready pictures and her reaction to the First Look is simply awesome!